Signs of abundant life may be difficult to spot in parts of the world fraught with war, poverty and oppression. But change starts small—with each individual who is transforming their life with the support of PWS&D donors, partners and projects. 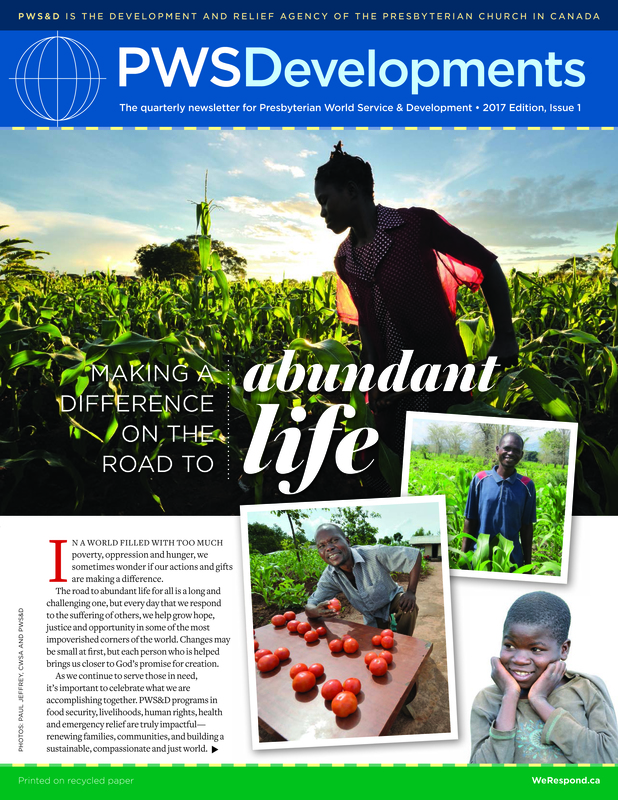 In this issue of PWSDevelopments, we celebrate the impact of our programs in development and relief by sharing the moving stories of individuals who are now feeding their families, freely pursuing their ambitions and breaking cycles of poverty. As we continue to serve those in need, it can be encouraging to remember the difference we are making together on the journey to a more sustainable, compassionate and just world. To order copies of PWSDevelopments, please contact Anna Muir (1-800-619-7301 ext. 293/amuir [at] presbyterian [dot] ca). 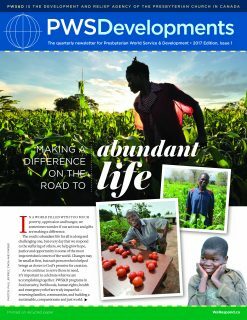 PWSDevelopments 2017, Issue 1: "Making a Difference on the Road to Abundant Life"